School Bus Parts Company Online: Since 1965, School Bus Parts Co. has provided school districts with an independent source for all types of bus parts. They carry wholesale parts for many bus models and ship within 1-2 days for most orders. You can also visit their primary location in Plumsteadville, Pennsylvania. Bus Parts Warehouse: Located in Syracuse, New York, Bus Parts Warehouse provides quality school bus parts for a variety of vehicle models from old to cutting edge. Bus Parts Warehouse also offers same-day delivery of all in-stock parts and offers in-house manufacturing, including pre-spaced vinyl lettering and custom-made school bus seat covers. Additionally, the company accepts warranty repair or replacement products for the manufacturer. School Bus Parts Direct: This family-run wholesale school bus parts company has been serving schools in Texas and across the country for 40 years. 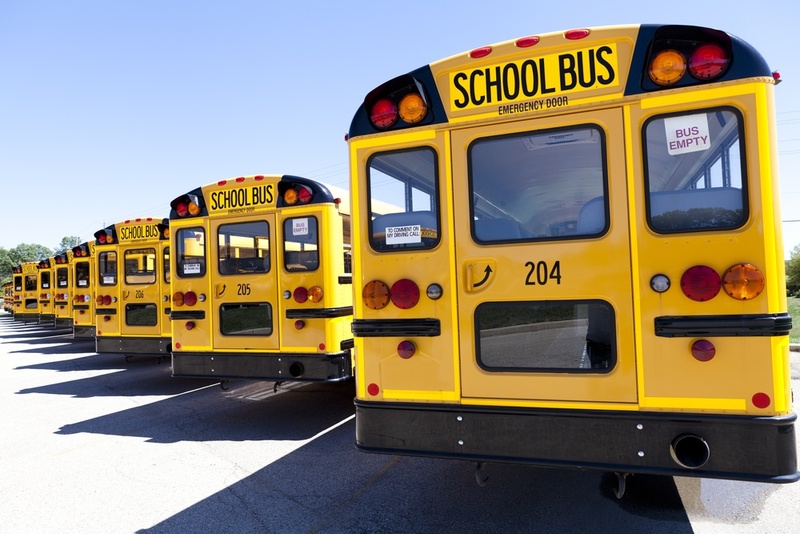 School Bus Parts Direct provides excellent prices on OEM and aftermarket parts. Also, every month they feature a “Direct Deal” — a drastically discounted wholesale bus part. School Bus Parts on eBay: Sometimes the best place to buy wholesale school bus parts online is eBay. However, before you log on and start shopping, you should be cautious, especially if you are new to eBay. First, only purchase from a certified seller. Second, only buy from a legitimate company that you can call or email — do not purchase from individuals. Lastly, be sure to check seller reviews to ensure they are reliable. A Parts Warehouse - School Bus Parts: Started in 2004 by an Oakland University BA major, A Parts Warehouse seeks to be your one-stop school bus garage. Most items purchased from apartswarehouse.com may be returned within 30 days. Keep in mind that items must be in new condition and are subject to a 15% restocking fee. Also, special order items may not be refundable. Used School Buses and Bus Parts: If you are in the market for used school buses or school bus parts and are in the Ohio area, you may want to consider Used School Buses and Bus Parts. The company carries a variety of hard-to-find parts and name brands such as IHC, Blue Bird, and Thomas. Transportation Accessories Company (TAC): Since 1976, this Johnstown, Ohio, wholesale school bus part business has served clients from coast to coast. They stock and quickly ship a large variety of parts from bodies and chassis to windshield wipers and safety equipment. The company also offers quantity pricing discounts. All Points Bus Parts: All Points Bus Parts, located in the Bay Shore area of Long Island, New York, is one of the largest school bus related parts warehouses in the Northeast. All returns are subject to prior approval and may be subject to a 20% restocking fee. Also, the return of special orders or electrical items will not be accepted and shipping and handling fees are non-refundable. ABC Companies: Bus Sales & Parts: ABC is a family-owned and operated business that sells coach buses and wholesale bus parts. They carry OEM coach parts and after-market parts, as well as new and pre-owned coaches. Unity School Bus Parts: Unity is a Nationwide Distributor of aftermarket school bus parts that specializes in safety equipment, general parts and products for children with special needs. Blue Bird: Blue Bird is the number one school bus parts manufacturer in North America. If you need to re-order parts for your Blue Bird fleet or need new buses, consider contacting the company directly. An advantage of purchasing through Blue Bird is their limited warranty. If you require repairs covered under Blue Bird’s standard limited warranty or another vehicle warranty, the company will help arrange for the repairs by the owner, dealer or by another qualified repair company. The safety of your children traveling to and from school begins with the safety of the school bus. And at SafeStop, the safety of your children is our number one concern. Contact us today.